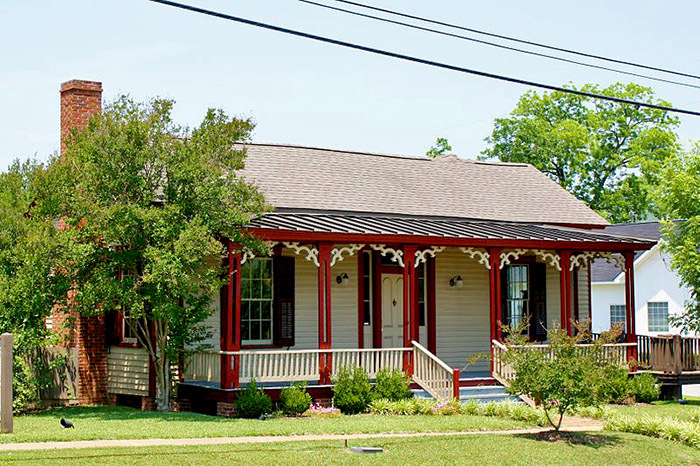 Laird Cottage, in Demopolis, Marengo County, was built in the 1850s by attorney and planter Simon Wheeler and is the headquarters of the Marengo County Historical Society. The home was constructed in a mixed Italianate and Greek Revival style and is named for dentist Walter Marcellus Laird, who with his wife Dora purchased the home in 1914. Daughter Elizabeth donated the home to the society in 1993 upon her death. In addition to office space, the building contains exhibits related to Marengo County history as well as Dora's sister, sculptor Geneva Mercer. Mercer lived her final years in the house next door to Laird Cottage.